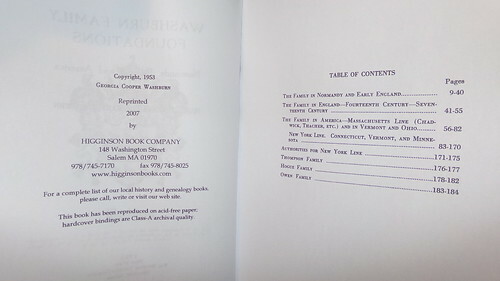 I found this at Abe Books dot Com, a great place online to find old books. Some books there are precious and expensive, but others, although still being precious, are quite affordable, as this one was to me. You can really knock yourself out tracing your family tree back through the ages. Trying to make all the dates match and the birth dates, death dates, names of children, names of various wives, etc., can make you turn prematurely white – or can make your already nearly-white hair go completely so! I overdid it the other day looking for my ancestors on my mother’s father’s side. I had already traced my mother’s family on her mother’s side before this, but really only went back to the 1500s in England for those Ingersoll members of the clan. 17. Roger D’Abitot, son of Urse d’Abitot. was said by historian Thos. 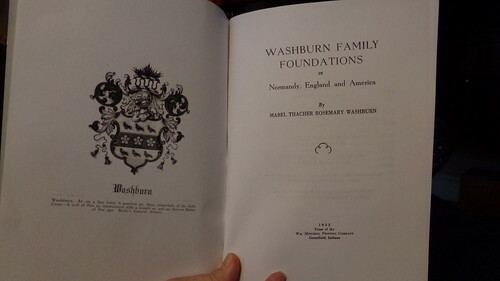 Habingdon, a friend/neighbor of the family of Washbourne from whom descends the Washburn family of America, to have been Lord of Washbourne in the reign of King Henry II (1154-1189). b. ~ 1219 in Little Washbourne, Worcestershire, England. The 1st Sir Roger, Lord of Washbourne is the first known authentic ancestor of this family. He is mentioned in an Inquisition of 1259, concerning William de Stutevil, and in the Subsidy Roll of 1280 he is described as of Little Comberton and of Washbourne, as well as of Stanford. Stanford was on the other side of Worcestershire from Washbourne, about twenty-five miles in direct line. He was living in 1299. 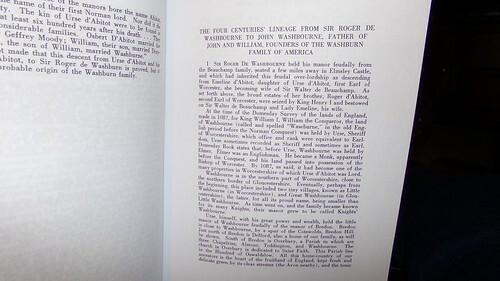 Also, “The family of “Washbournes were Lords of Stanford, and that Sir Roger de Washbourne held in Stanford what his father, Sir John de Washbourne, formerly held. Stanford passed to John Solway in his marriage to Isolde Washborne about 1400 A.D.
John Washburn, a descendant sailed to the Plymouth Colony in Massachusetts in the 17th century. 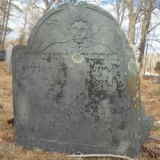 He later married Elizabeth Mitchell who was the granddaughter of Francis Cooke, who sailed to America on the Mayflower. Wow, I hope I haven’t messed that up royally. Anyway, it’s still a work in progress. But this is what I’ve uncovered so far. 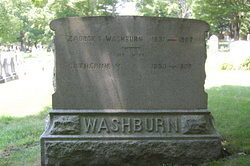 The thing is, only a few weeks ago, or maybe a few months ago, I didn’t even know the name of my great grandfather – Albert Z. Washburn. Turns out he was a mucky-muck (one of my favorite words!) in the Cities of Boston and West Medford, MA. I wish I could go back and be transformed into a fly on the wall of history and see them going about their daily lives. Now I’m wondering if all our blogs and journals will keep on in perpetuity so that one day, many decades, many generations from now, someone will find them and read all about our day-to-day lives, our fears, our happinesses, our little lives… and marvel at them, the same way I am marveling at just knowing the simple names of those who went before me. Please see my recent post at the link below. Mabel T.R. 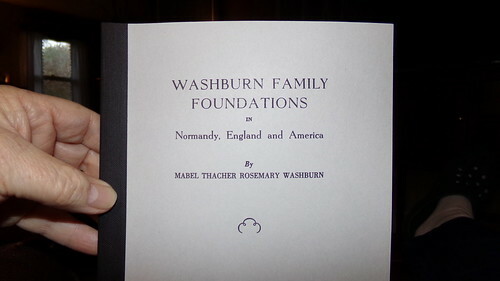 Washburn’s book was incorrect. 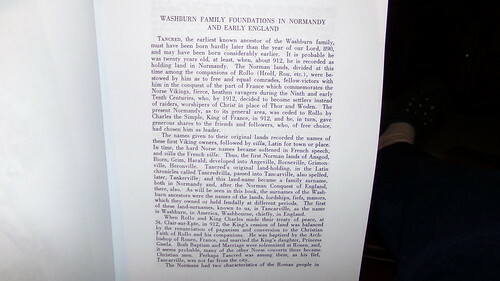 Sampson/Samson of Little Washbourne’s father was not William de Estham. He was a man named Godard. We cannot use the Ernaldus Charter to prove descent from Urse d’Abitot. Digital stuff and the Internet theoretically could last forever but as a practical matter probably will vanish far more quickly then paper records what with the speed of technological change. I can’t even read my own floppy disks from twenty years ago. Gee, sorry Christos! I didn’t pick my ancestors! Maybe my branch of the de Hautvilles wasn’t the same one that robbed you! I only hope so. I must say that my list does correspond to a lot of what’s on this page. That really gets me going! Thanks Christos! So, you are a descendant of the Hauteville family, whose member Robert Guiscard robbed us (i.e. the Byzantines) of S. Italy in the late eleventh century! Interesting! Bex, This is really some project you have undertaken. I am really very surprised you can go as far back as you have. I did not know records were kept so very long ago. I guess I never gave it much thought. Of course thanks for sharing and keeping us updated. It is fascinating! WOW….even the tombstones you have to show us…thanks for all the hard work you did to put this together for us to view.